The I/O continues to redefine the market. Easily interchanged lenses, amazing field of view, impressive comfort, and fog-free optical technology create a better experience than any other goggle out there. 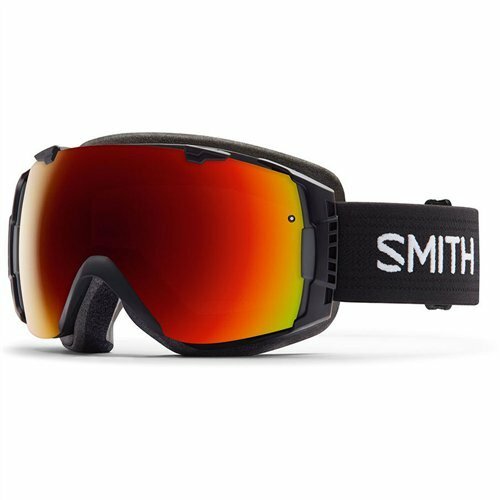 The Vaporator Series I/O snow goggle is built to log serious alpine hours–maintaining comfort and clarity in extreme environments. The I/O offers easily interchanged lenses and comes with two performance mirror lenses included to match conditions on the hill. The spherical lens combines with Vaporator technology to offer an amazing field of view, impressive comfort, and fog-free optics. The medium-fit goggle is helmet compatible with an easy to adjust silicone backed strap for custom comfort. Patented Vaporator lens technology utilizes processes previously reserved for aerospace and medical capacities. These lenses are robotically cut and bonded together with an airtight silicone bead to eliminate lens delamination–the number one cause of between-the-lens fogging. A micro-porous filter called Porex completes the system. Its composition is structured such that air molecules may pass through the filter while water molecules cannot. 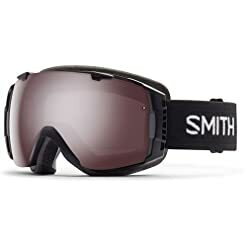 By utilizing this filter, the thermal lens is allowed to adjust to varying altitudes while preventing moisture from entering the space between the lenses creating an amazingly strong thermal lens barrier. Carbonic-X outer lenses are individually molded to offer optimum scratch and impact resistance, increased visual acuity, and enhanced contrast sensitivity. The inner lens is impregnated with Fog-X lens treatment for increased anti-fog performance. The Carbonic-X lens meets Class 1 optical standards as well as ANSI Z87.1 standards. When light passes through a medium–such as a lens it refracts, i.e. changes course. If left uncorrected, this refraction can cause visual distortion and eye fatigue. Smith’s TLT straightens out the incoming light rays by progressively tapering the lens from the optical center toward the peripheral view. What this means for you is that you see with accuracy and increased comfort.